I stopped by the Sellwood Library this afternoon and checked out a few garden design books. This one is probably my favorite. 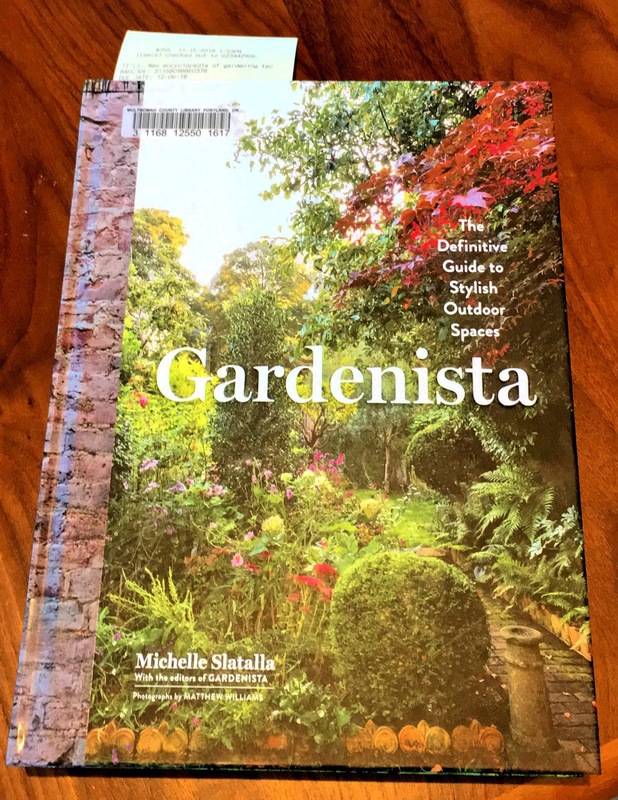 I'm not looking for books on what to plant, as I have heaps of resources for that through the Backyard Habitat Program, but looking more at ideas for hardscape design. This one is probably my favorite: Gardenista: The Definitive Guide to Stylish Outdoor Spaces . Outdoor kitchens, backyard playgrounds, planning your center of attraction . . . the list goes on. When I look at books like these, I have to pick the pictures apart to find the elements that I like. If I take the entire landscape in all at once, it's too overwhelming, and let's be honest . . . there's a reason these gardens are featured in this book: they're pretty perfect! And yours can be, too, but it takes time. When on a budget, take what you like and incorporate it into your current landscape. Bit by bit, you'll get there. Envision the end result and make sure you are thinking ahead to that end result so your garden design takes into account the years and years to come of growth and maturity. Take your time and do one job at a time just how you want it, then move on to the next project. One day, you're garden, too, could be featured in Fine Gardening, Better Homes & Gardens, or even a book like this. We can dream, right? After all, when you've laid the proper foundation and design plan for your particular garden, the plants will beautify over time and Nature does the rest.